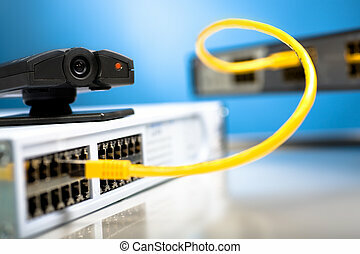 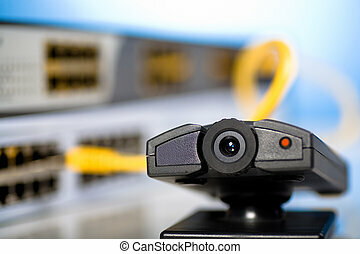 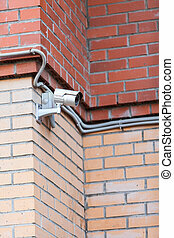 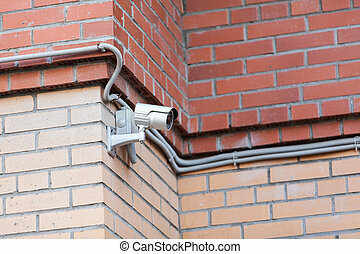 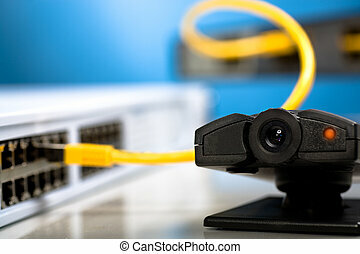 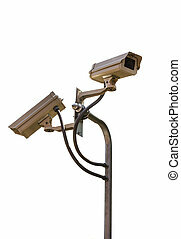 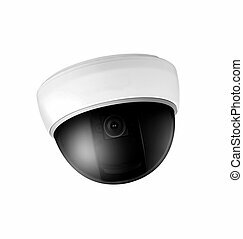 Security video surveillance. 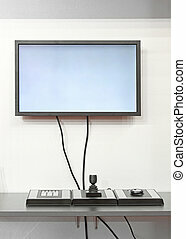 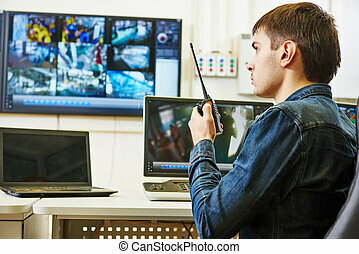 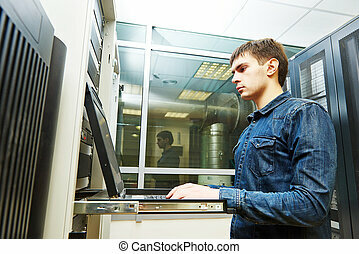 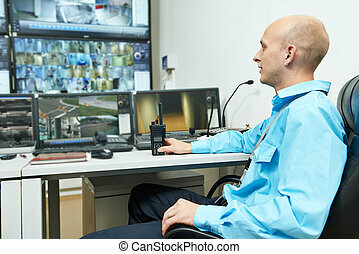 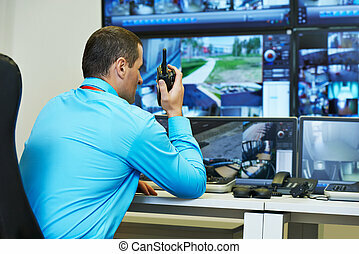 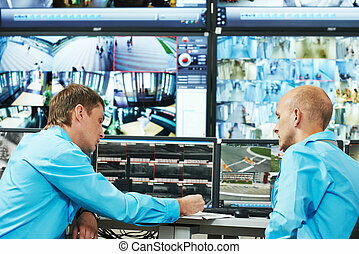 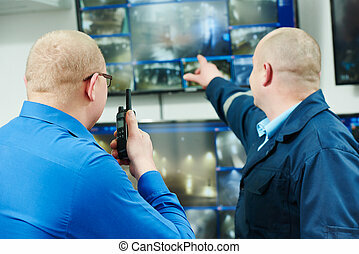 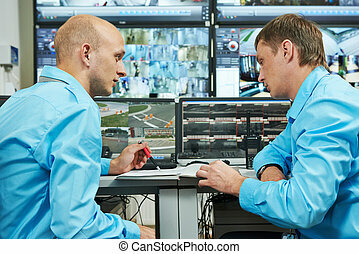 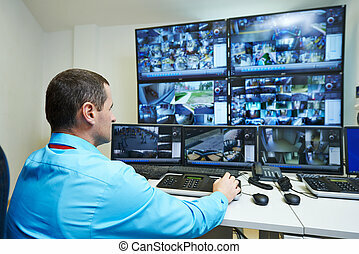 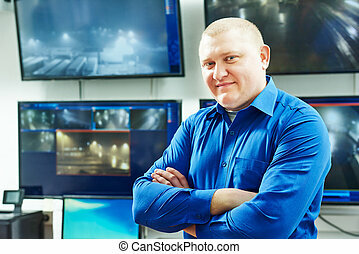 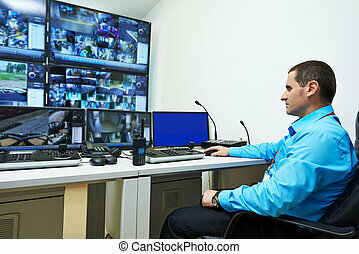 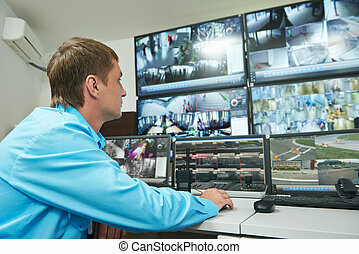 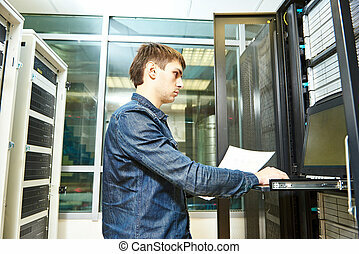 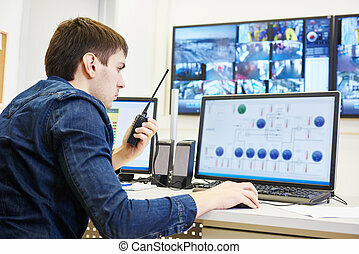 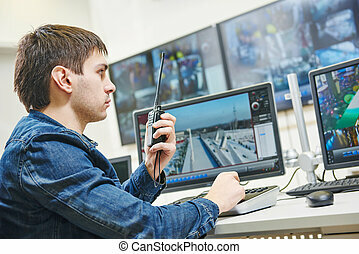 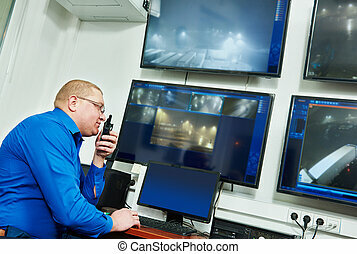 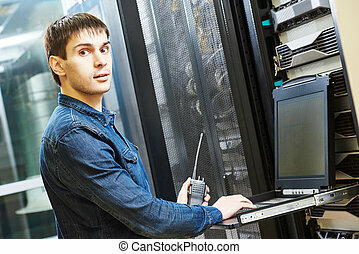 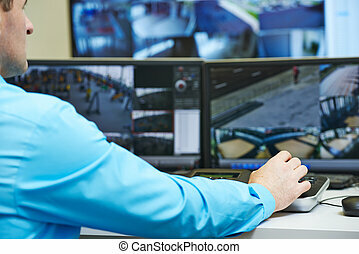 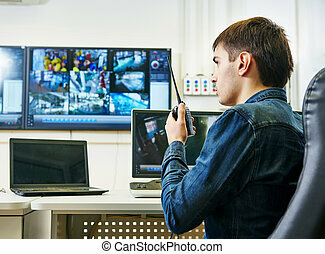 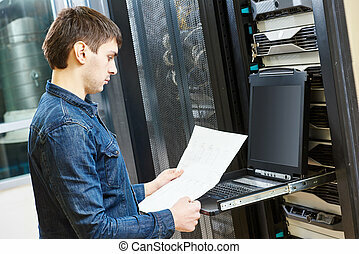 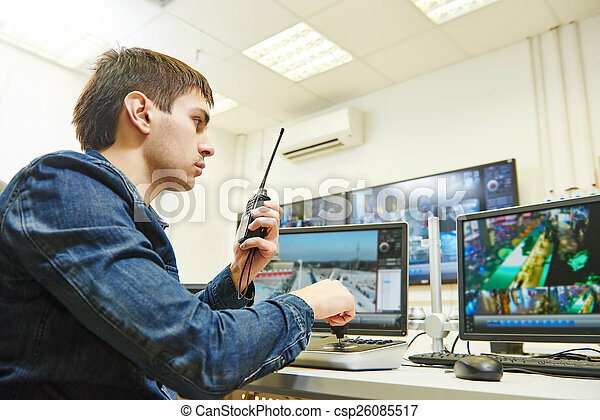 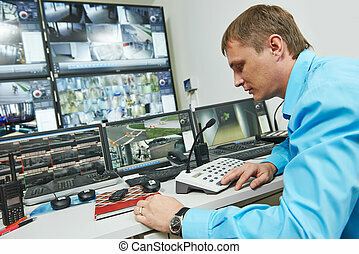 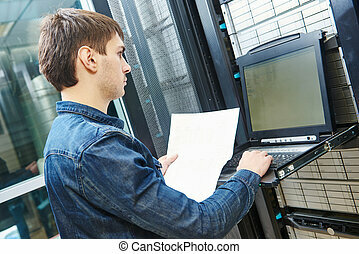 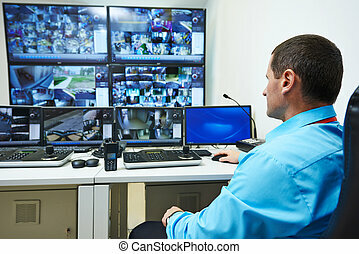 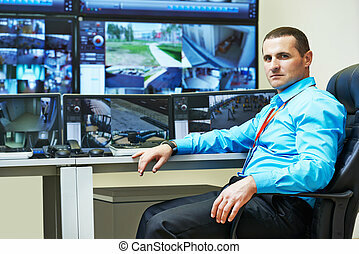 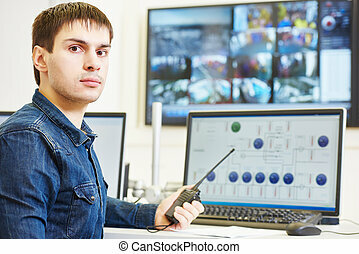 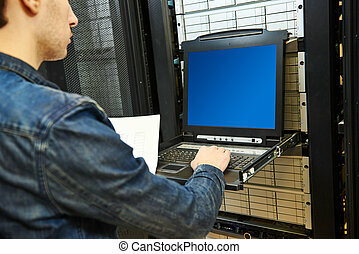 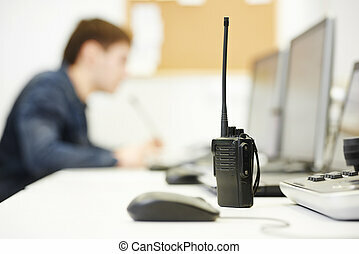 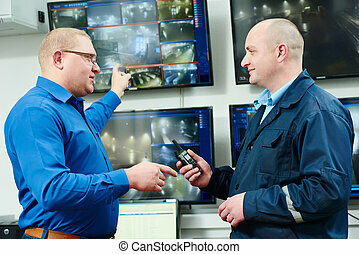 Security guard watching video monitoring surveillance security system. 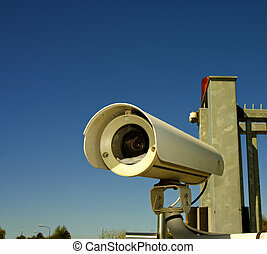 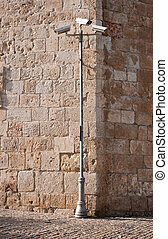 Security Video surveillance camera against the blue sky. 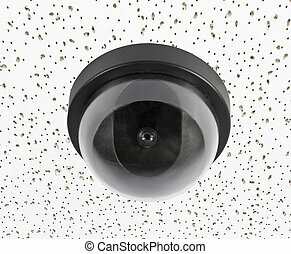 Security video surveillance camera globe on acoustic tile ceiling. 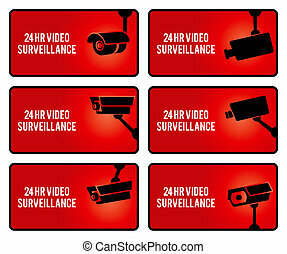 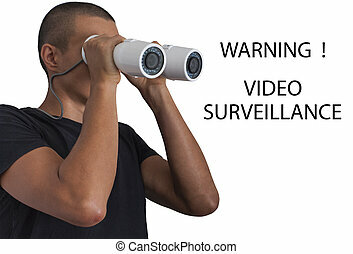 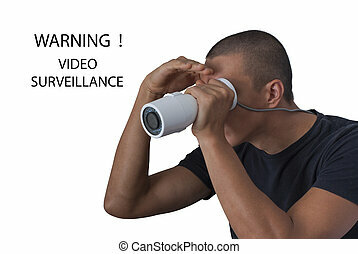 Warning set stickers for security video surveillance. 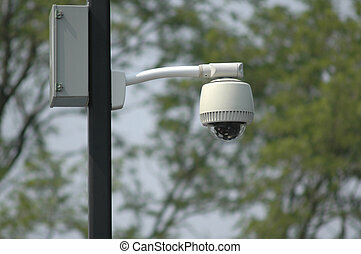 Omnipresent security camera video surveillance globe.